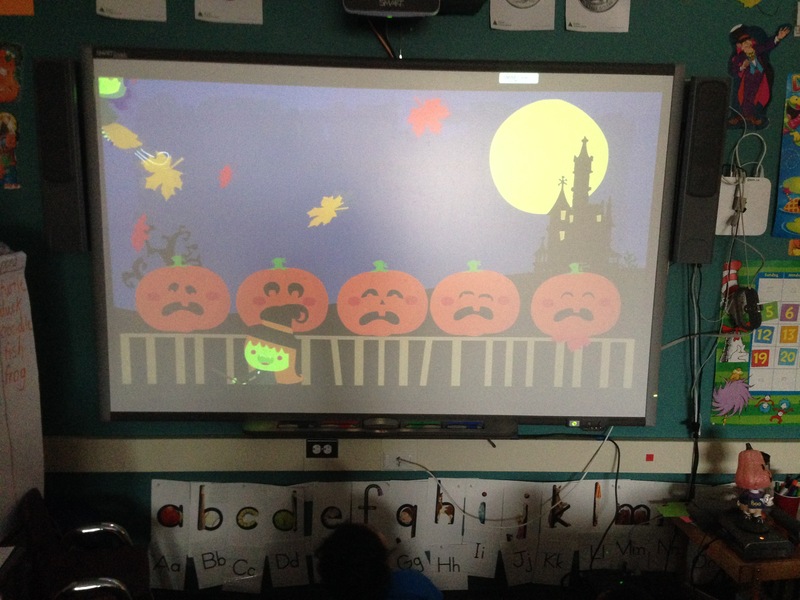 We have continued to learn about poems and today we listened to the poem 5 Little Pumpkins Sitting on a Gate on the SMART board. 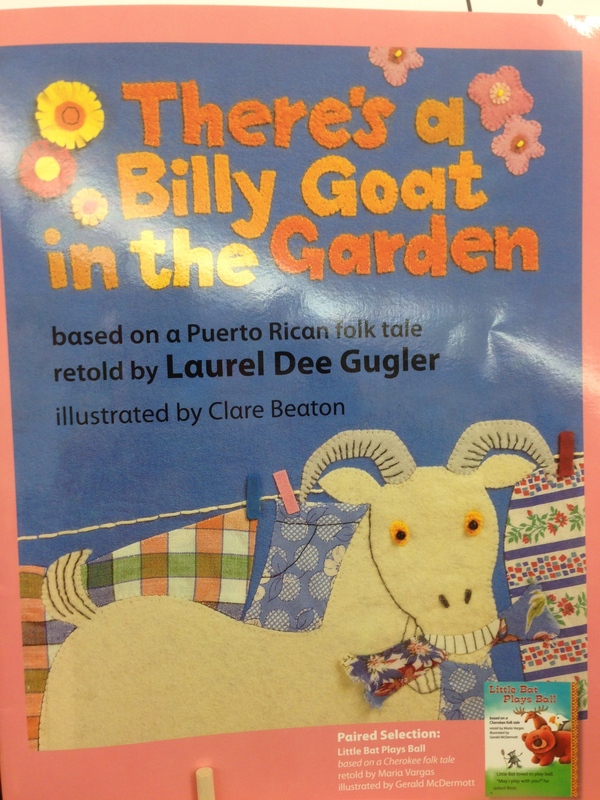 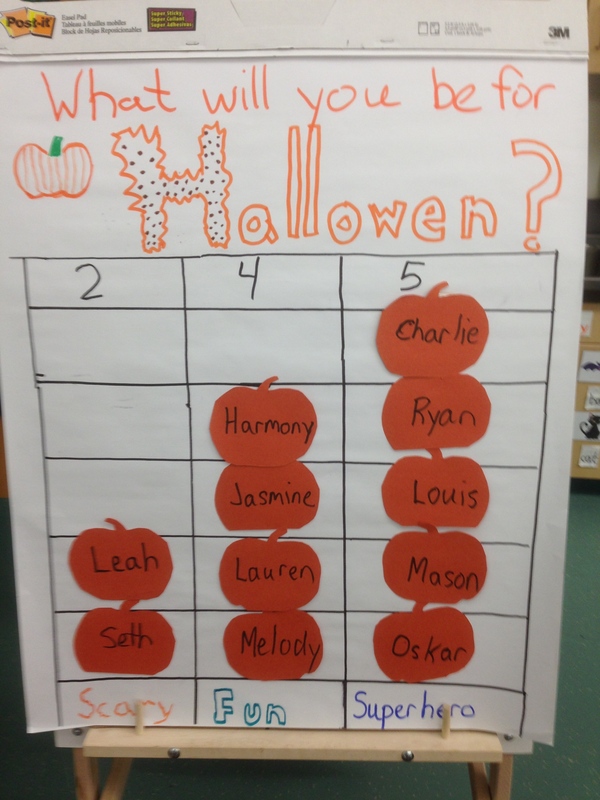 We listened to the song and learned ordinal numbers by following along with the song / poem. 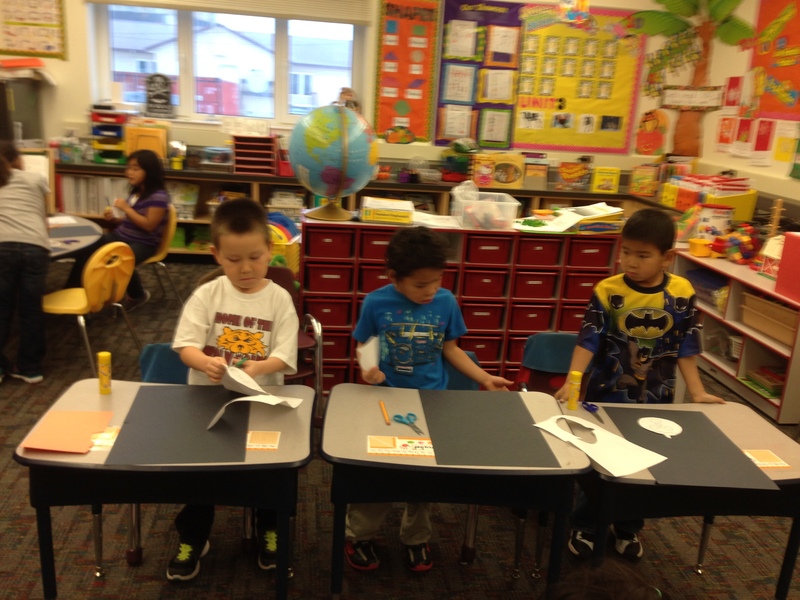 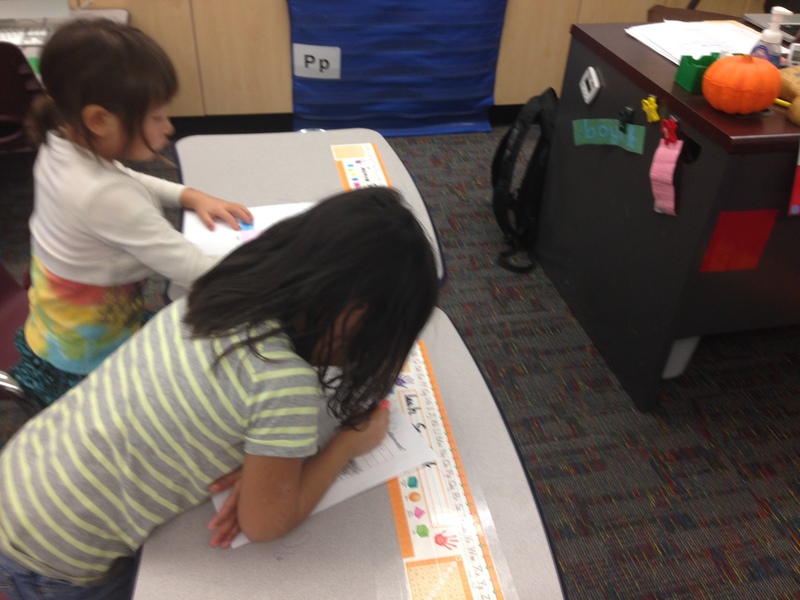 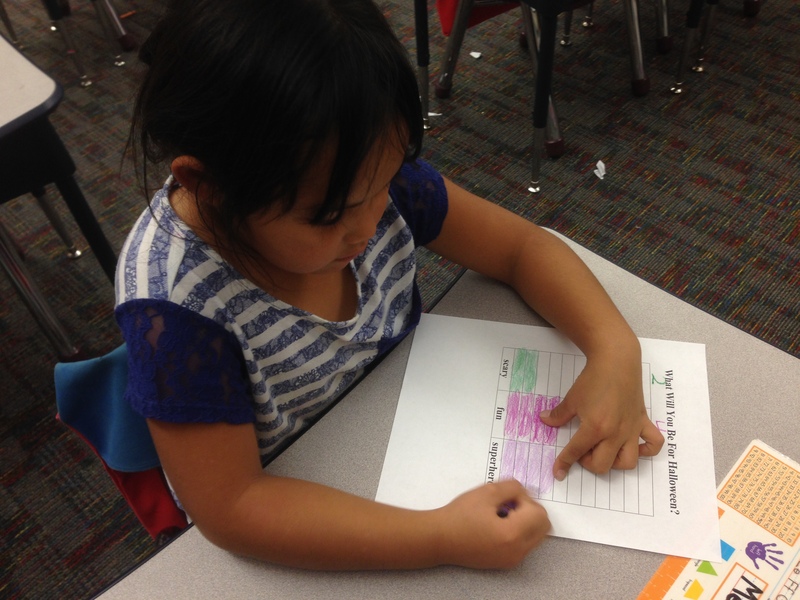 Then to practice what we’ve learned about ordinal numbers, we played an ordinal numbers matching game. 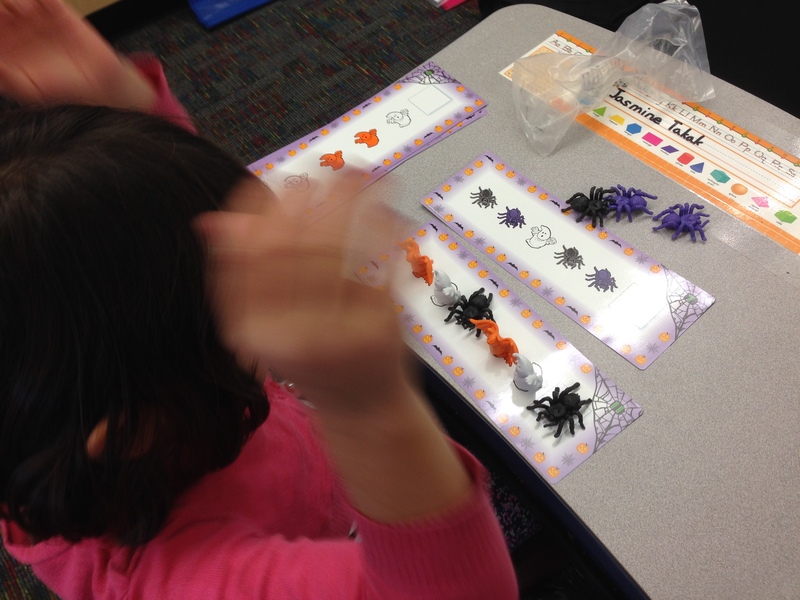 Students stood up in front of the room while other students sat down and called out two different ordinal numbers, “I’ll pick the 2nd student and the 5th student”. 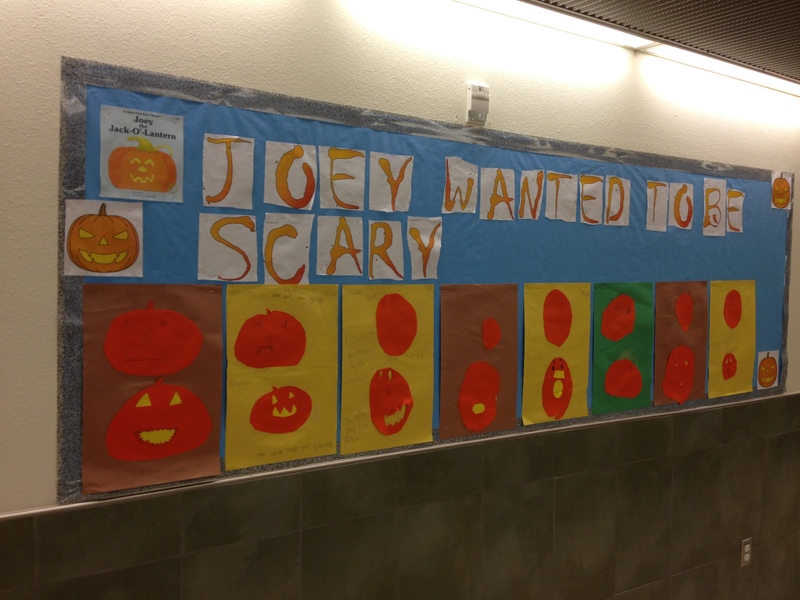 If they made a match with the Halloween picture they scored a point. 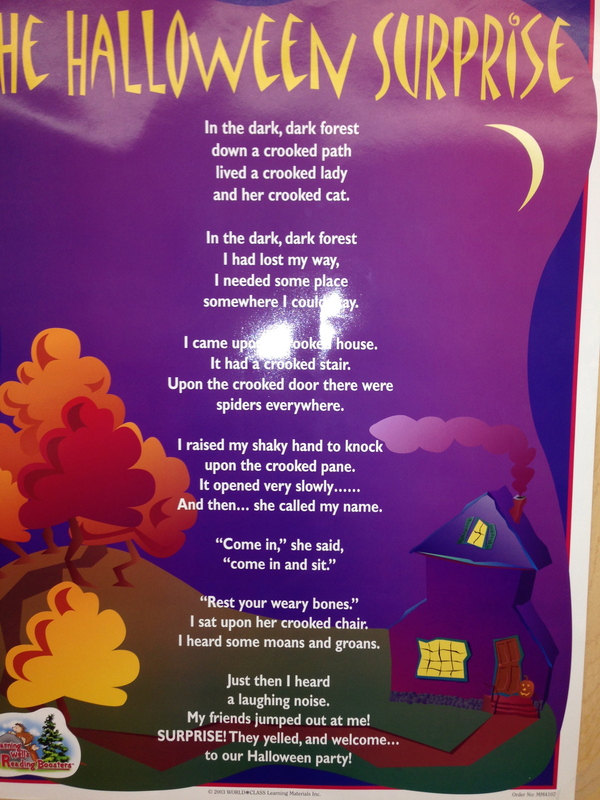 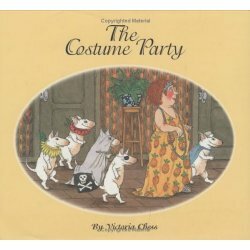 This last week I introduced the class to poetry and read to them the special halloween poem called “The Halloween Surprise”. 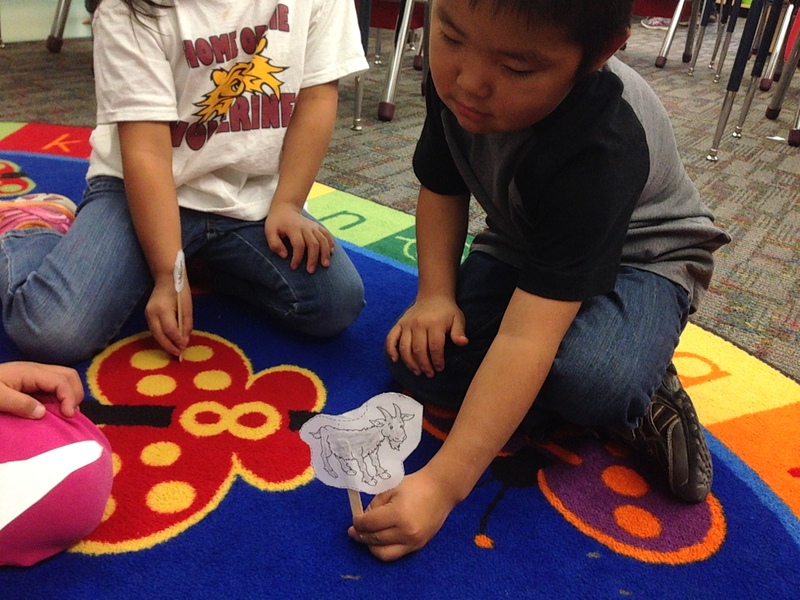 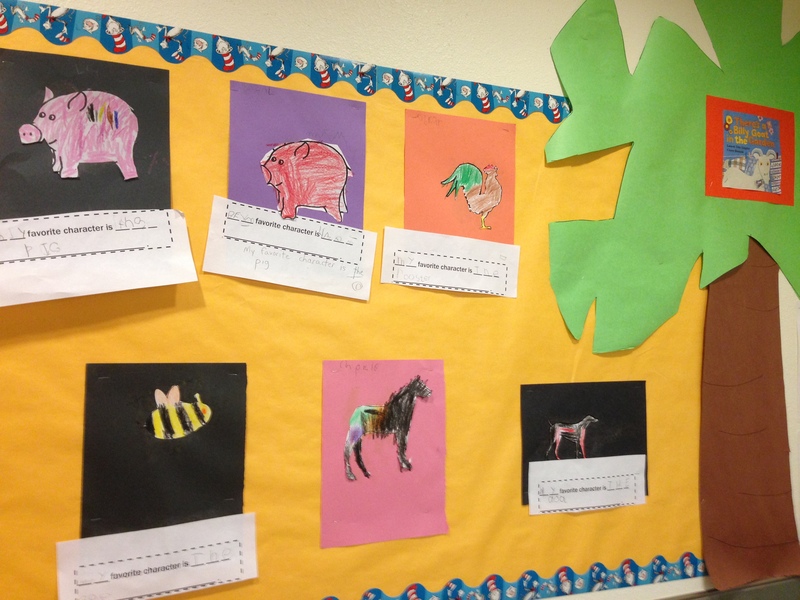 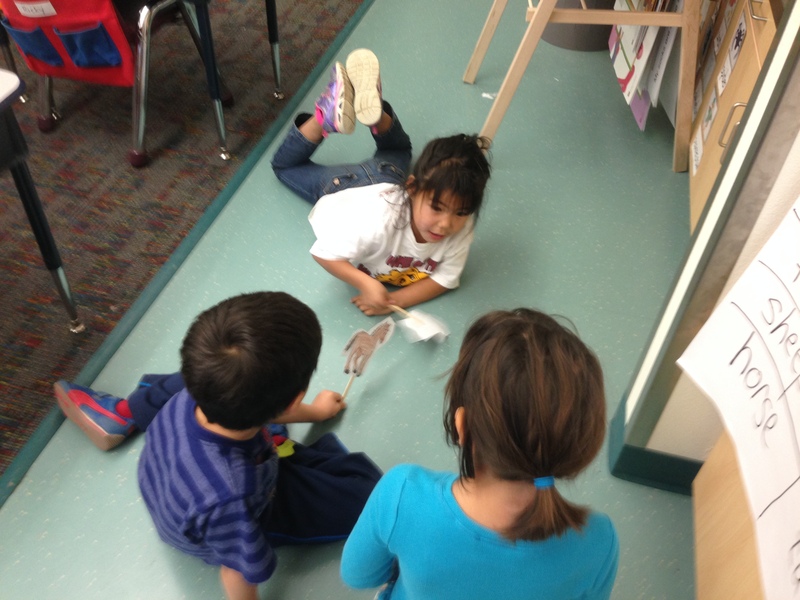 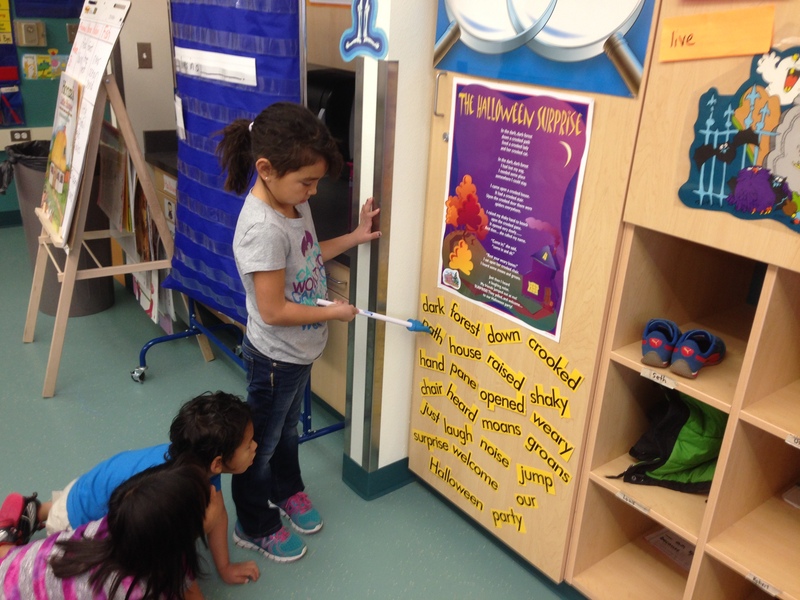 We practice looking for rhyming words and recognizing special sight words from the poem. 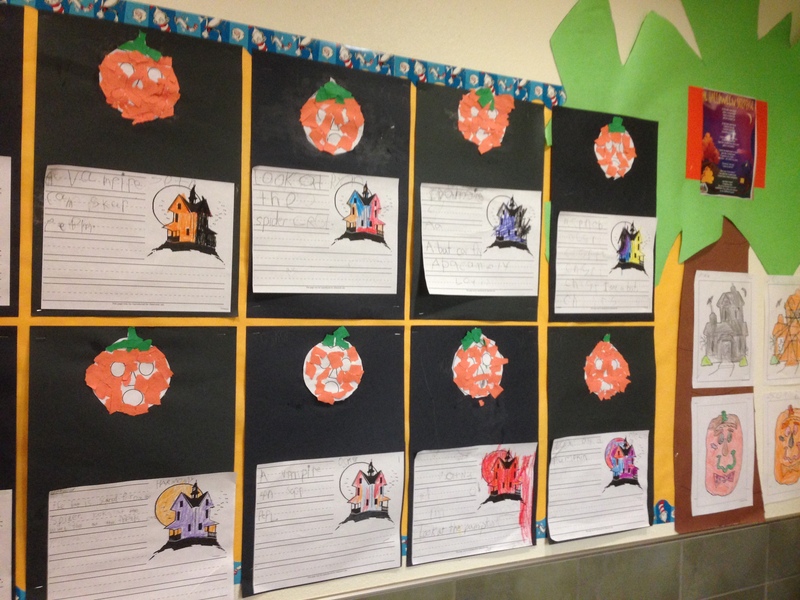 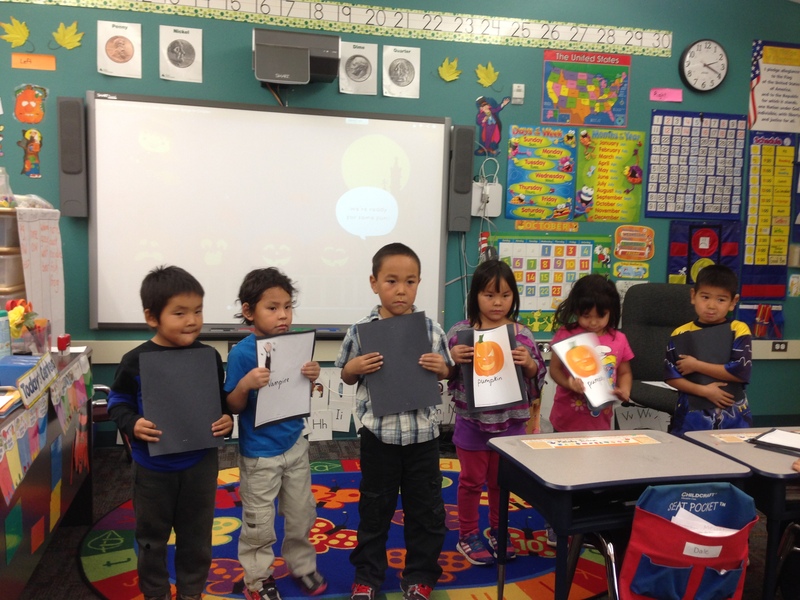 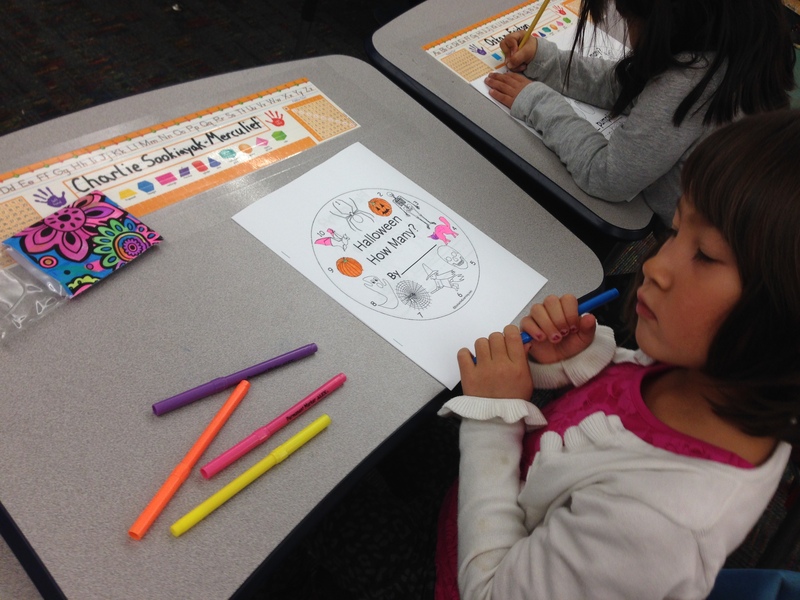 Then students used words and ideas from the Halloween Surprise to create their own Halloween stories and writing. 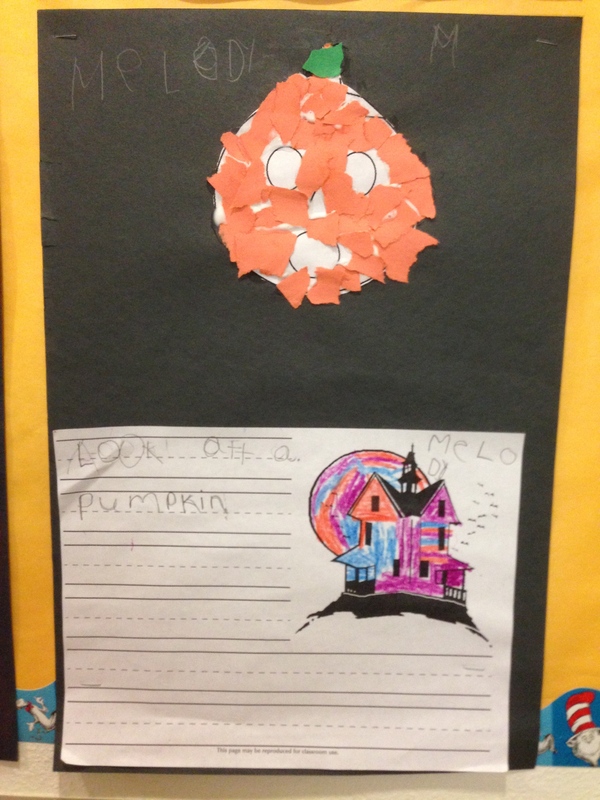 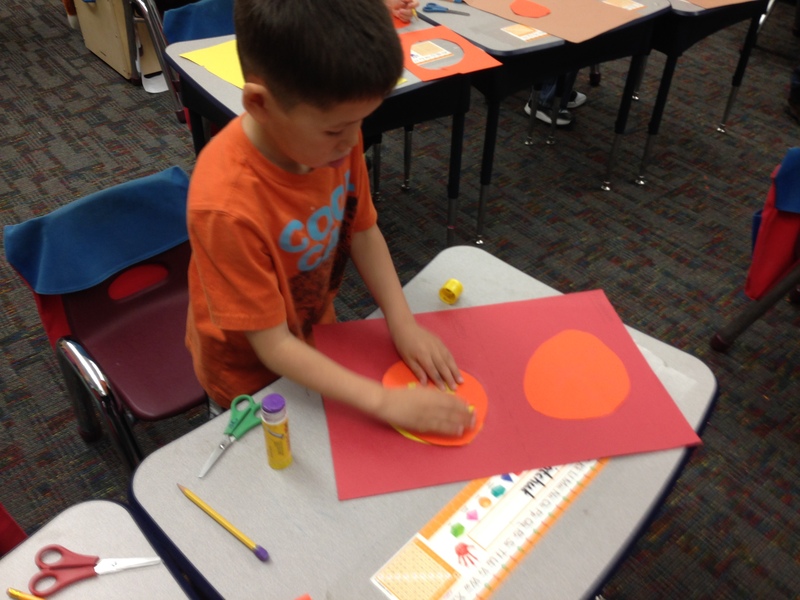 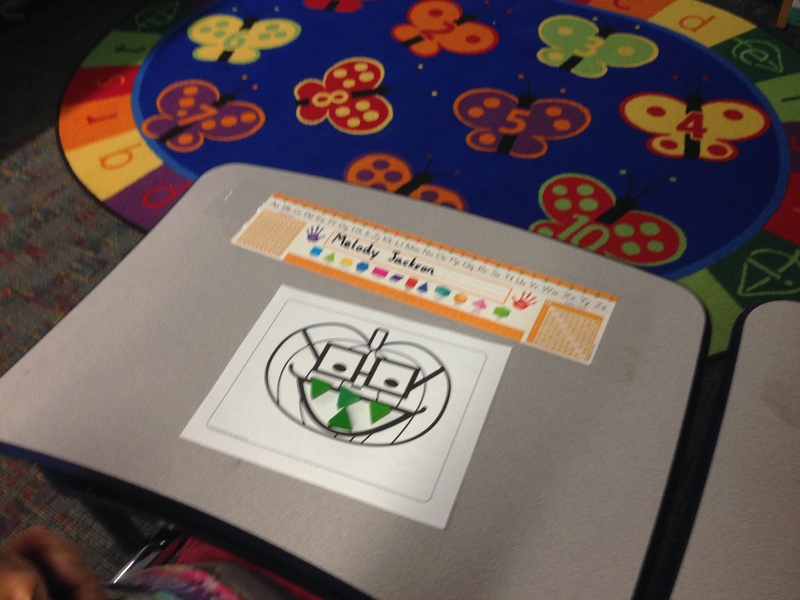 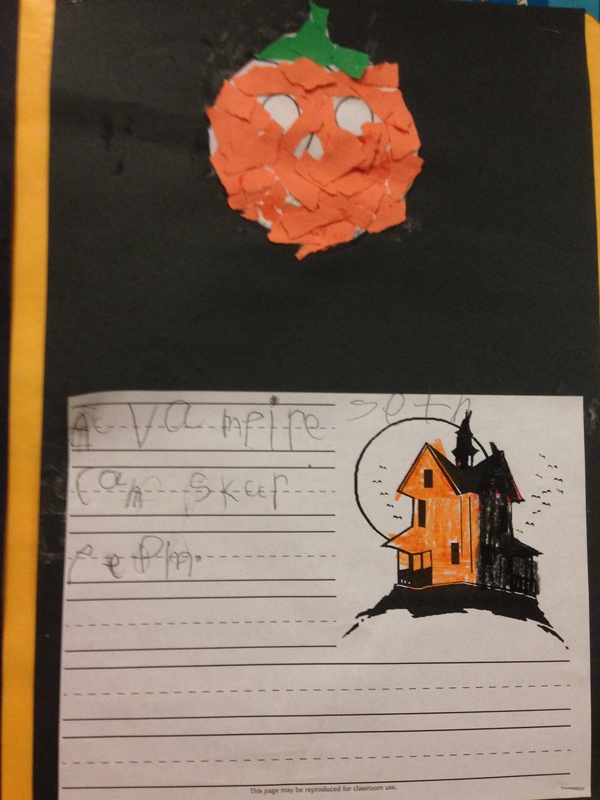 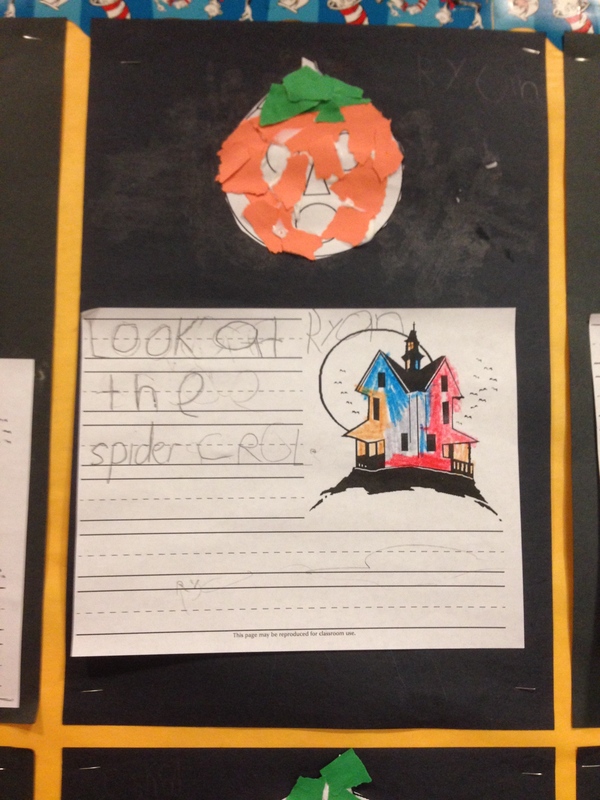 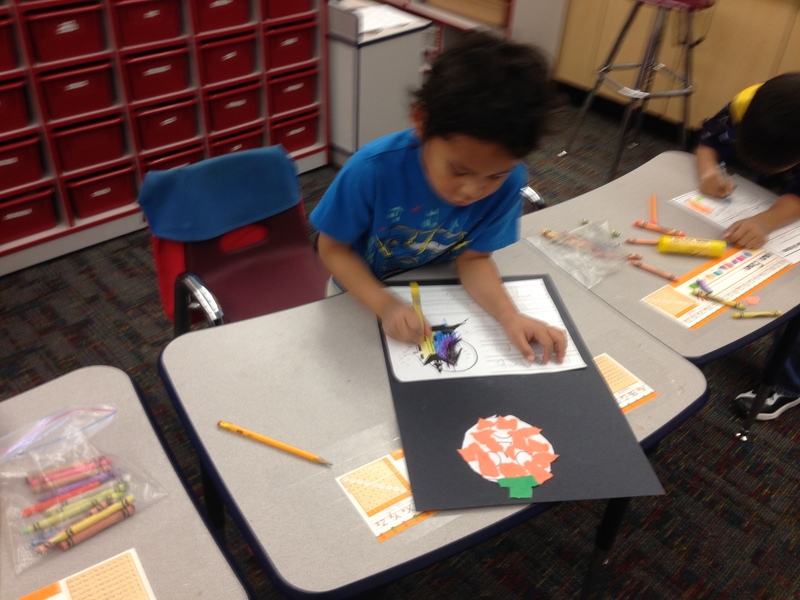 They also created a construction paper jack-o-lantern to go along with their writing. 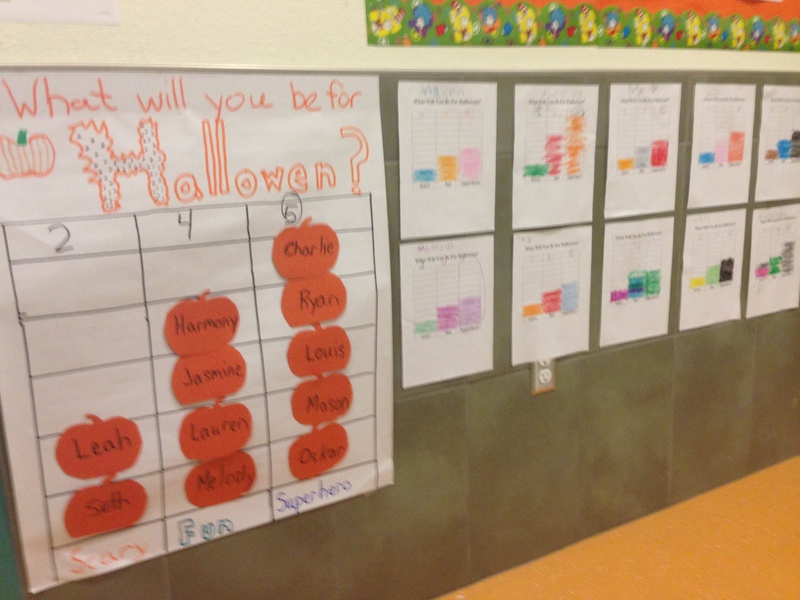 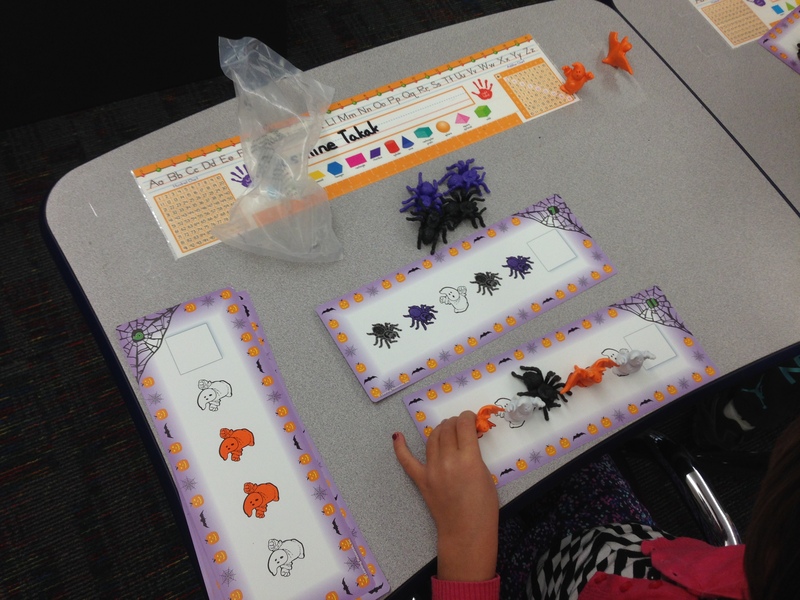 As Halloween is just around the corner we have started several Halloween math centers with topics that we’ve been learning throughout the past few weeks. 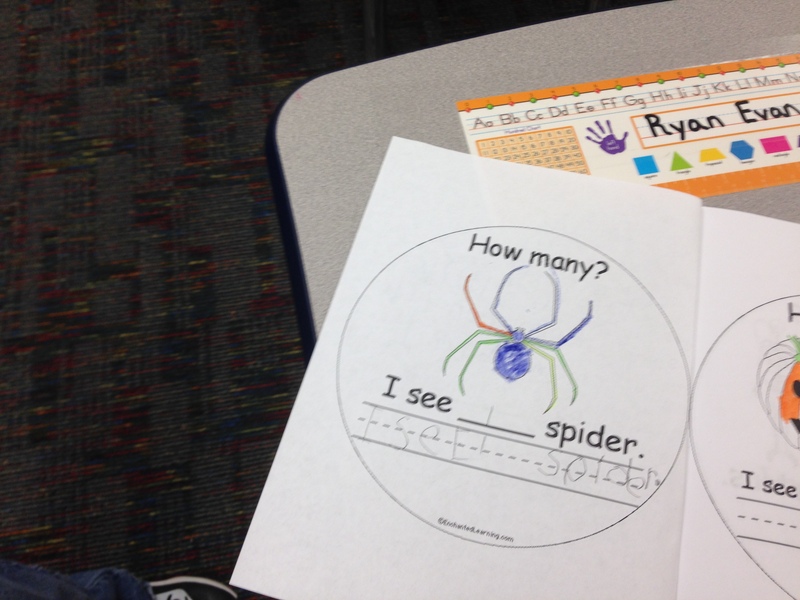 We’ve worked on number recognition with an “I See” Halloween Book. 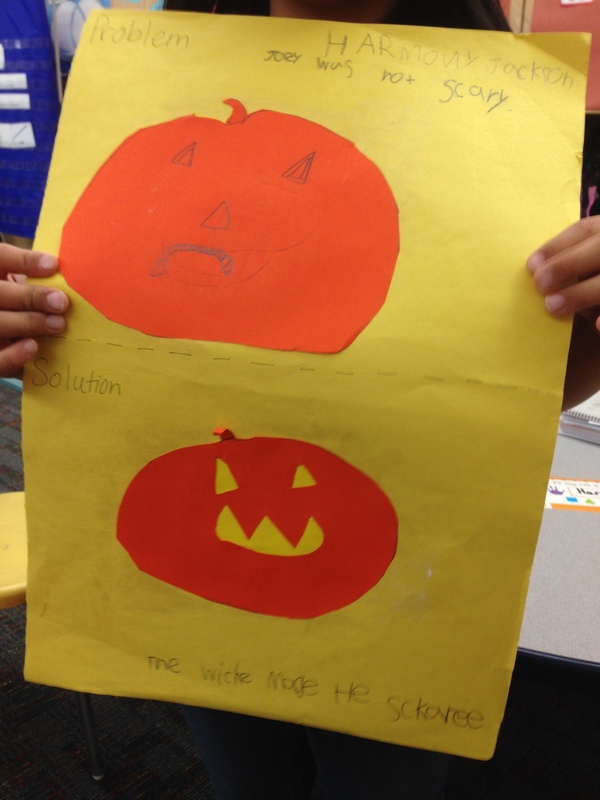 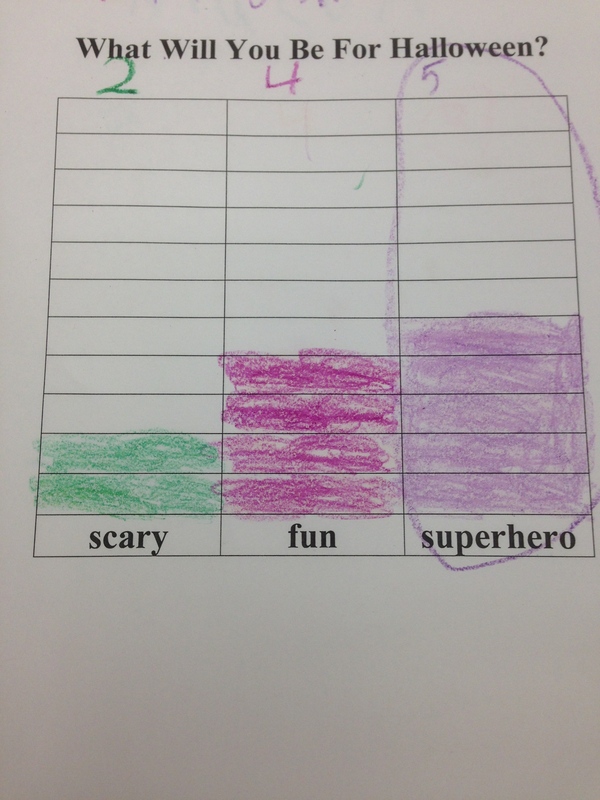 Students counted the Halloween pictures wrote the number and copied the sentence. 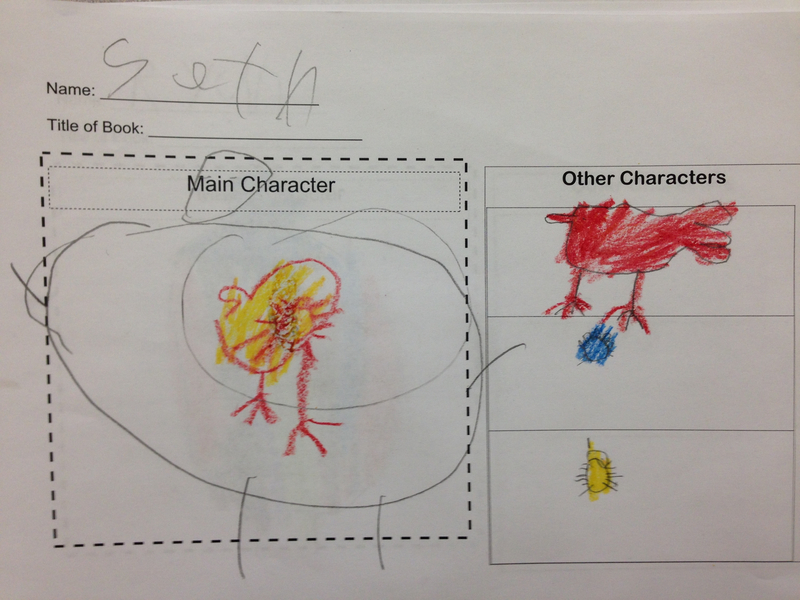 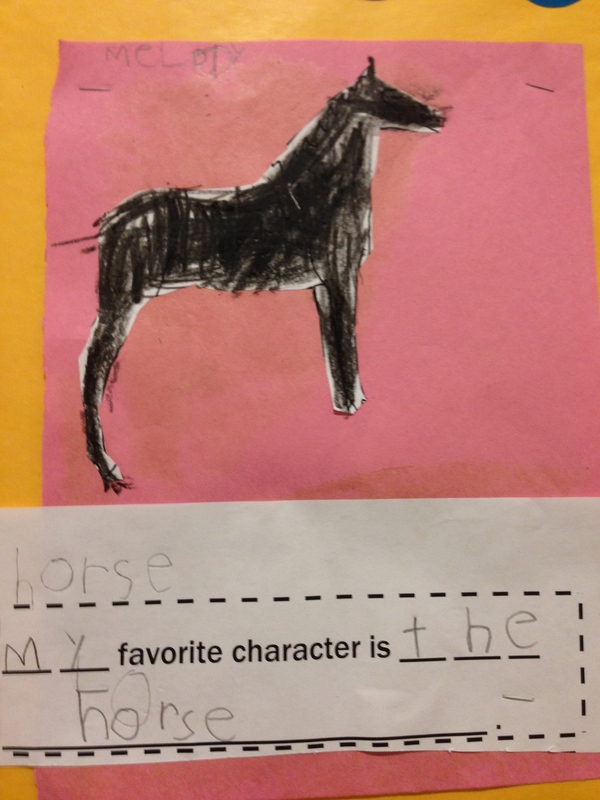 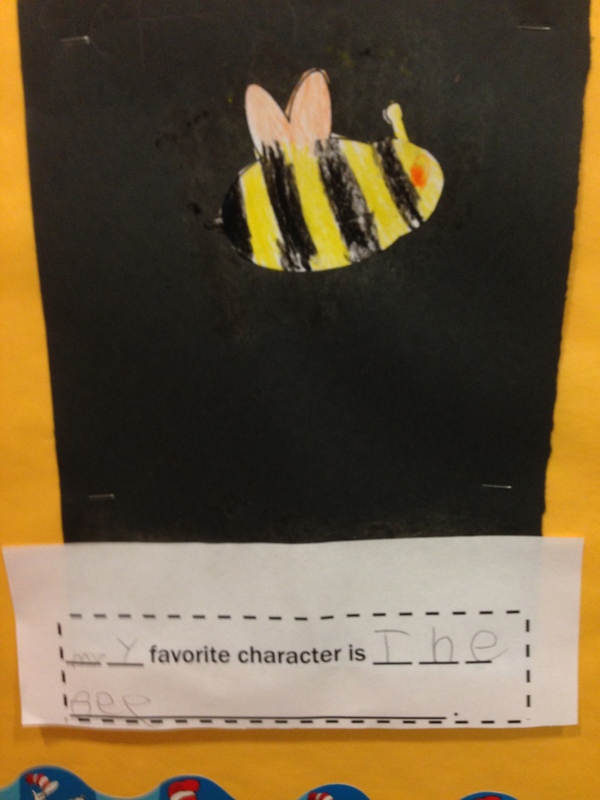 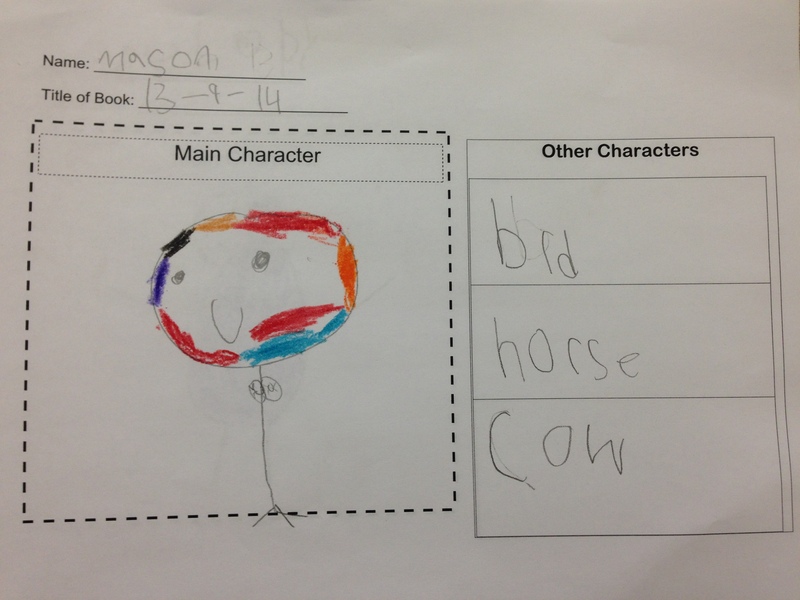 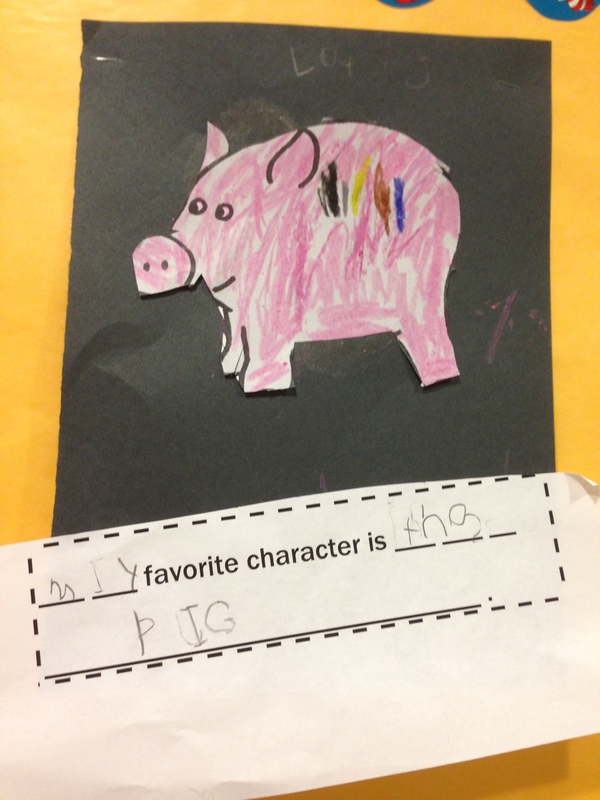 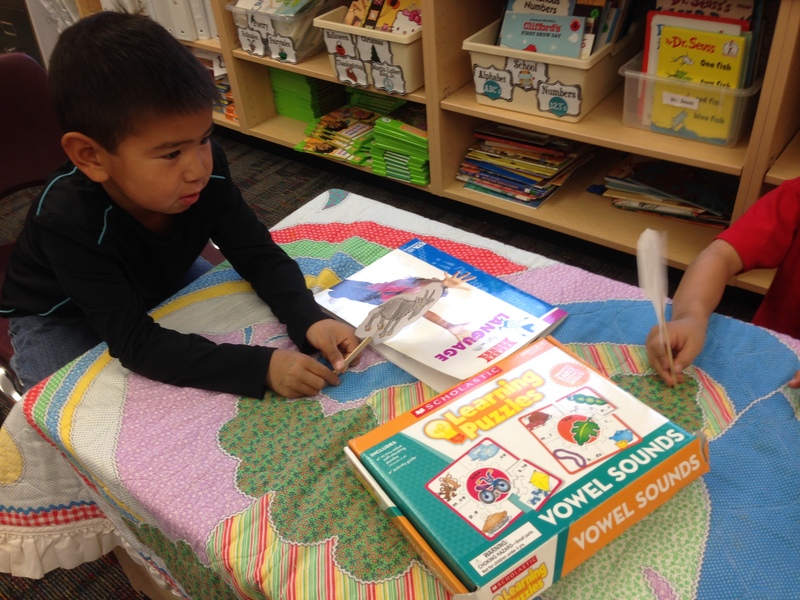 They loved making these books because these words were easily recognizable to them! 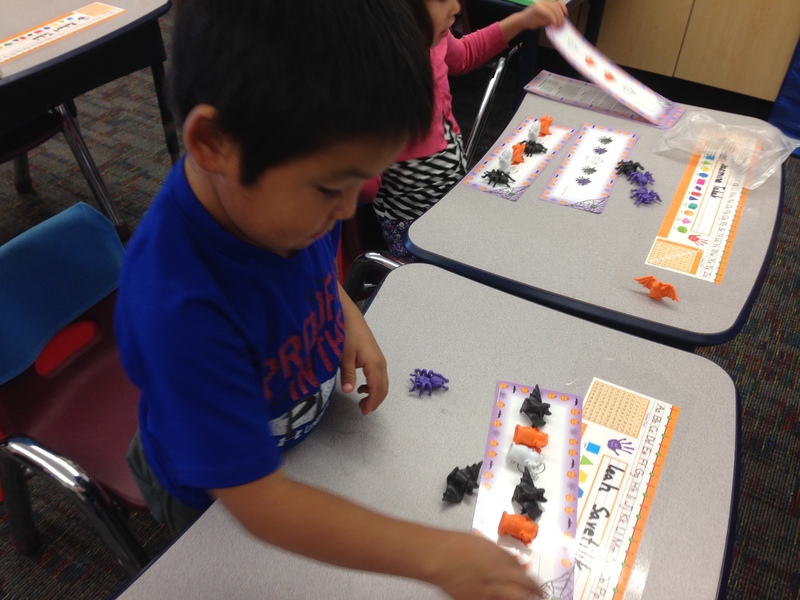 We listened to the poem 5 Little Pumpkins Sitting on a Gate and then students make their own pumpkins sitting on a gate with play-doh and matching number cards. 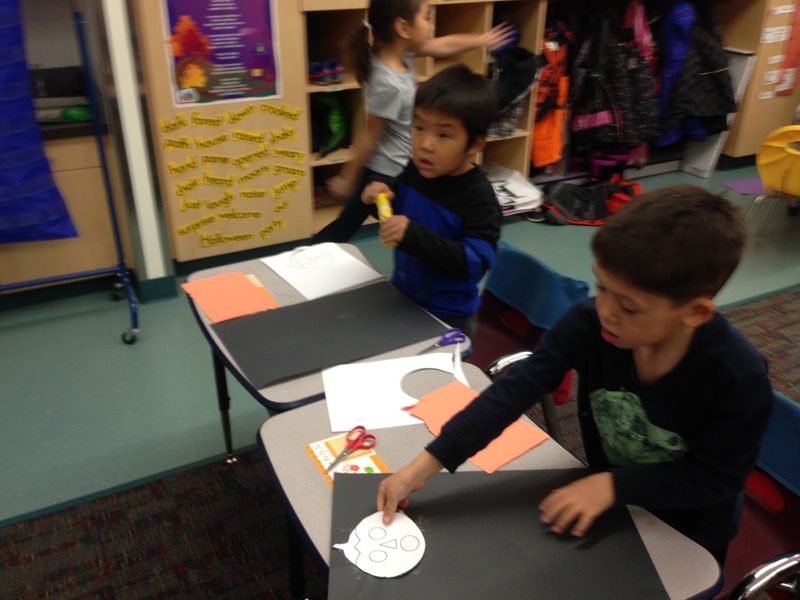 At the beginning of the year we learned about making patterns and as a refresher and spiral review, students made and completed Halloween shape patterns. 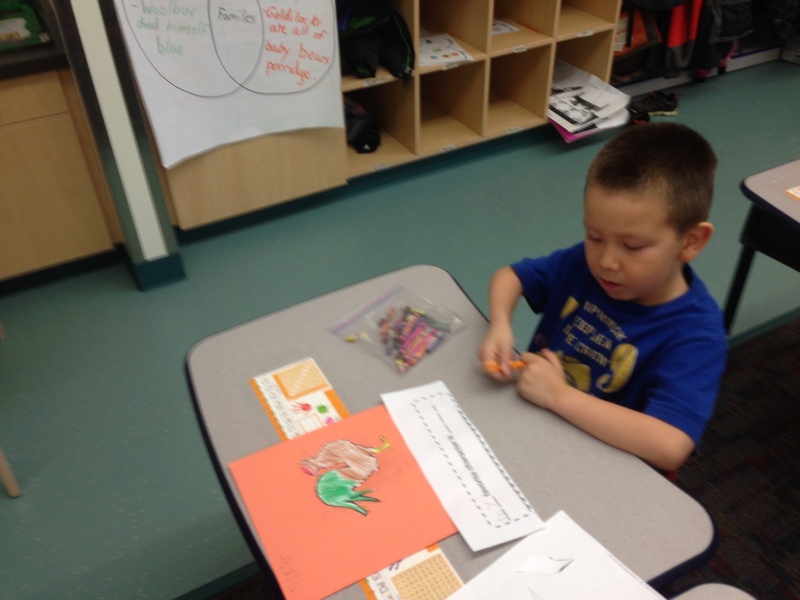 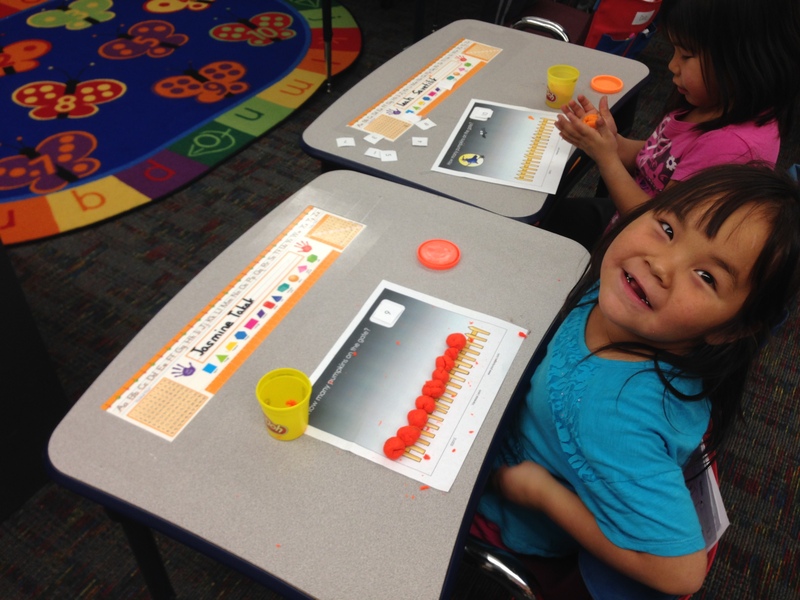 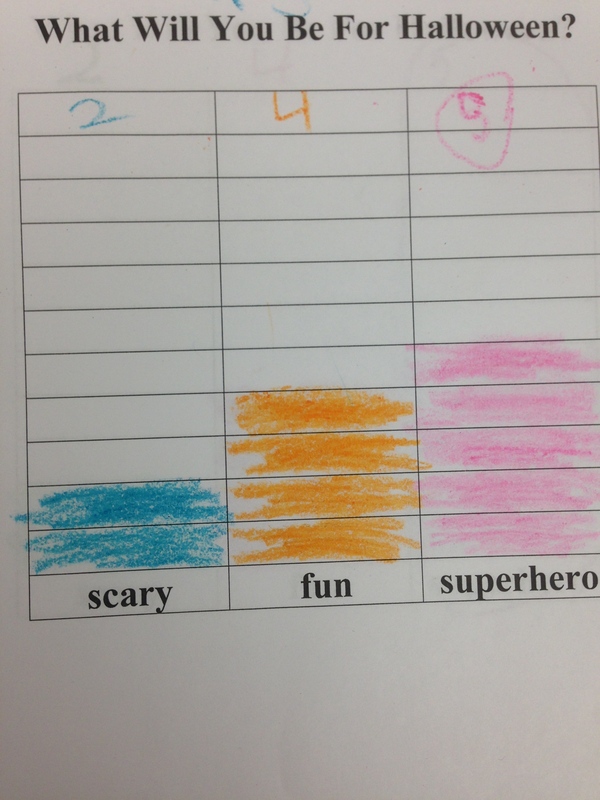 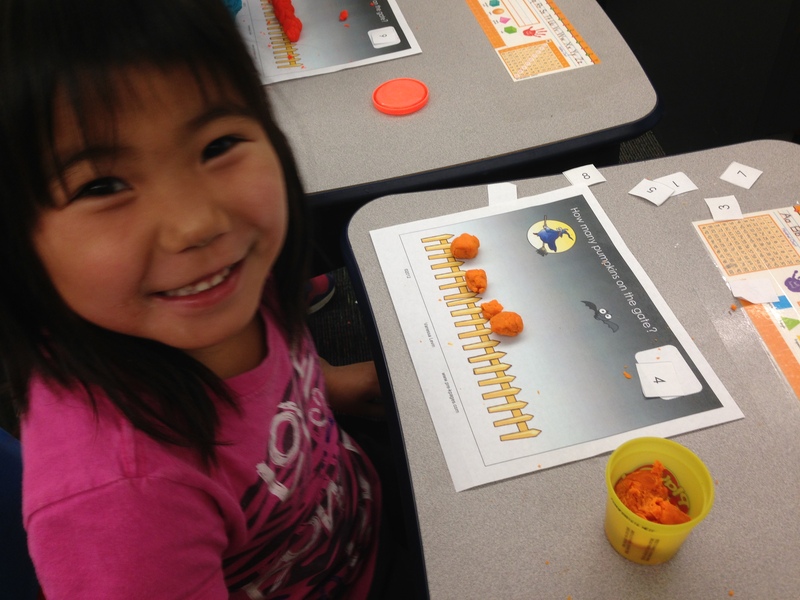 Yesterday we learned about ten-frames and how to count and add to ten using candy corn as our counters. 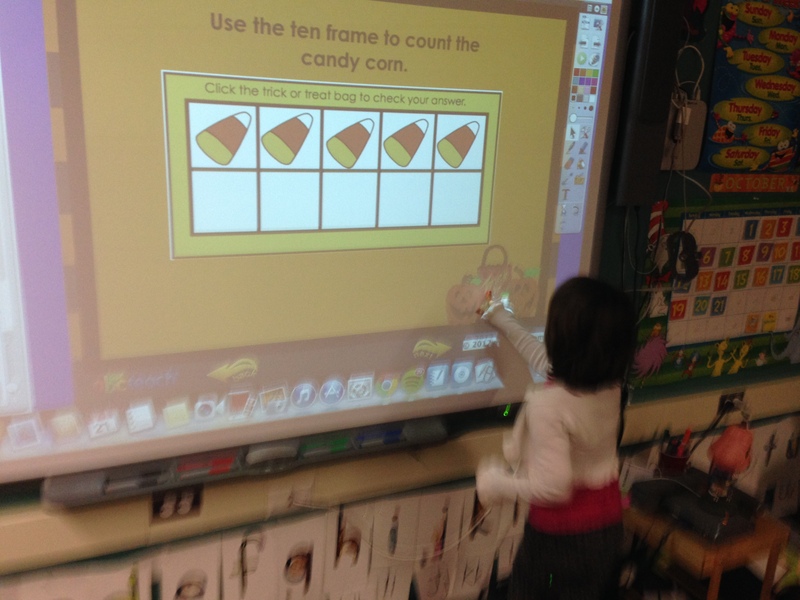 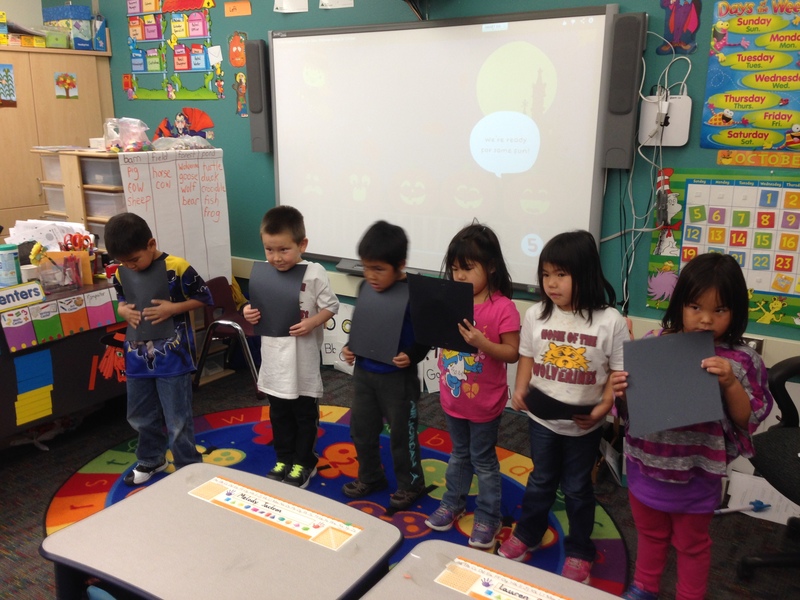 Students were able to manipulate the candy corn on the smart board to get other classmates to guess the number. 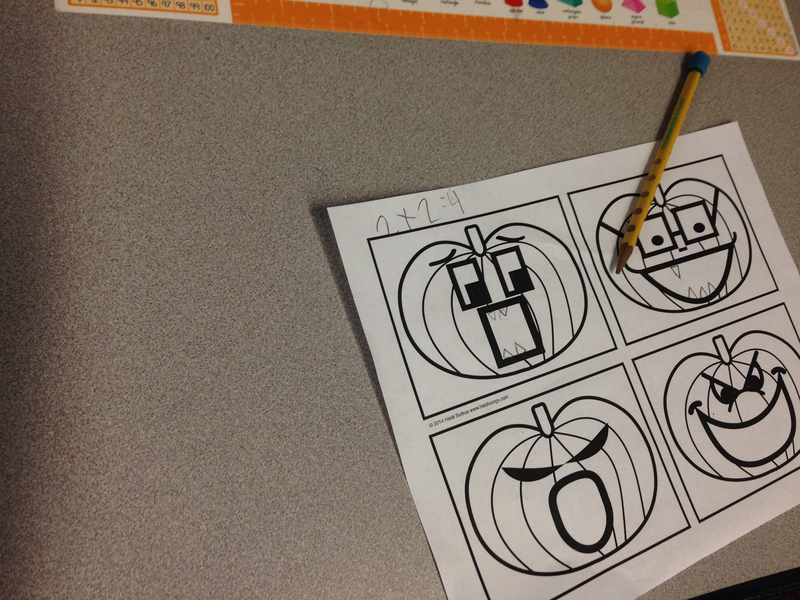 Today we worked on decomposing the number four. 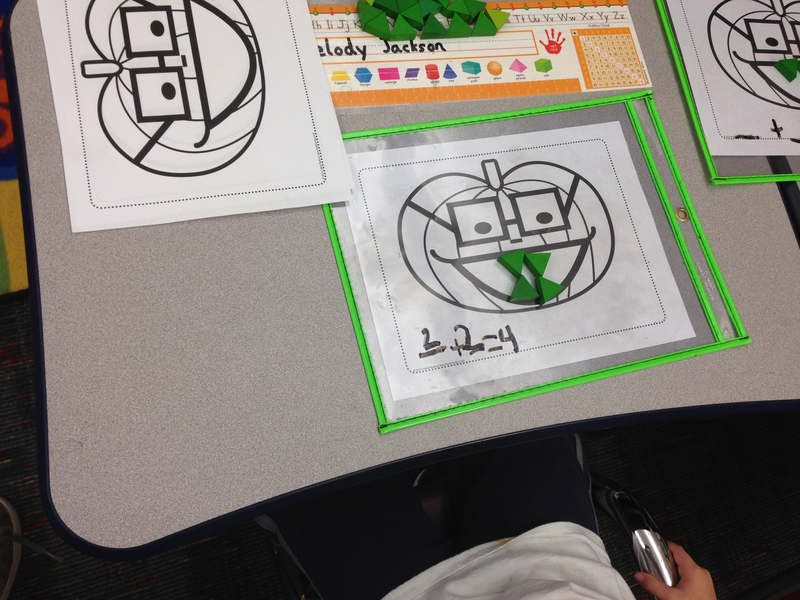 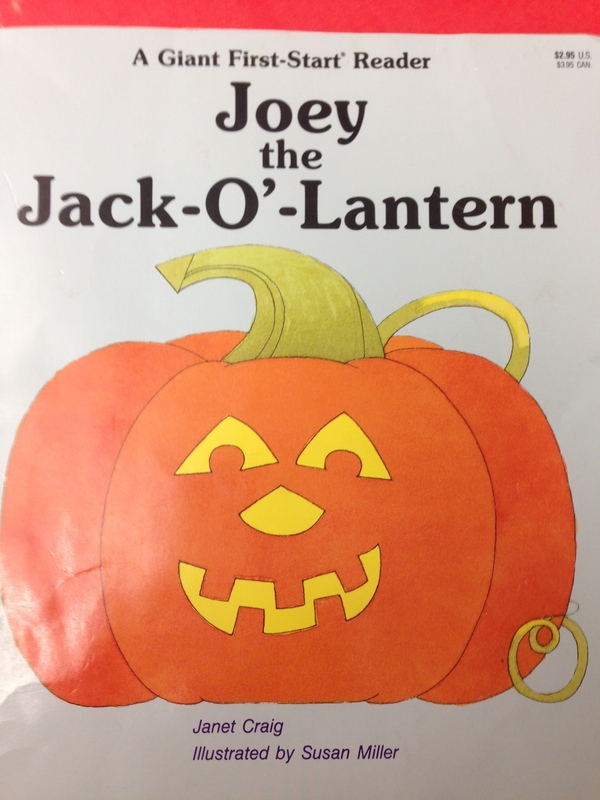 We used green triangle pattern blocks to be used as jack-o-lantern teeth. 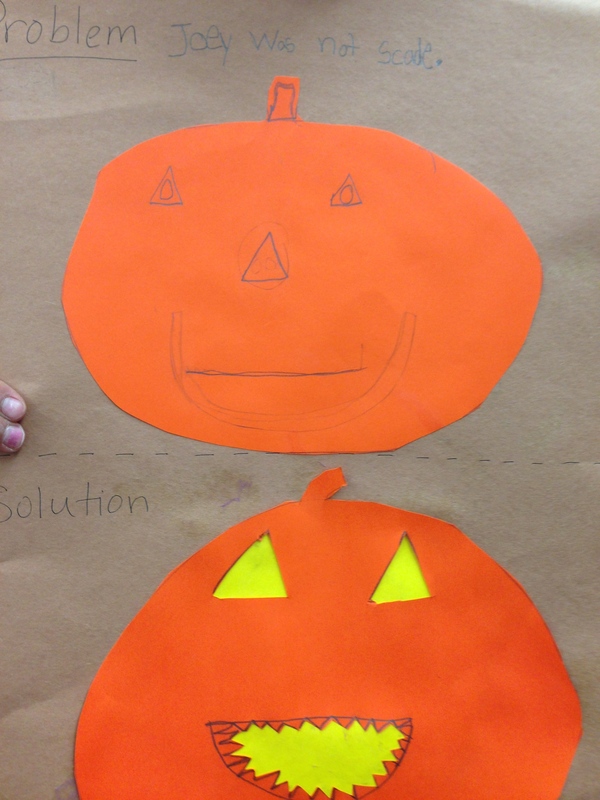 We put those teeth in different positions on the pumpkin and created addition sentences. 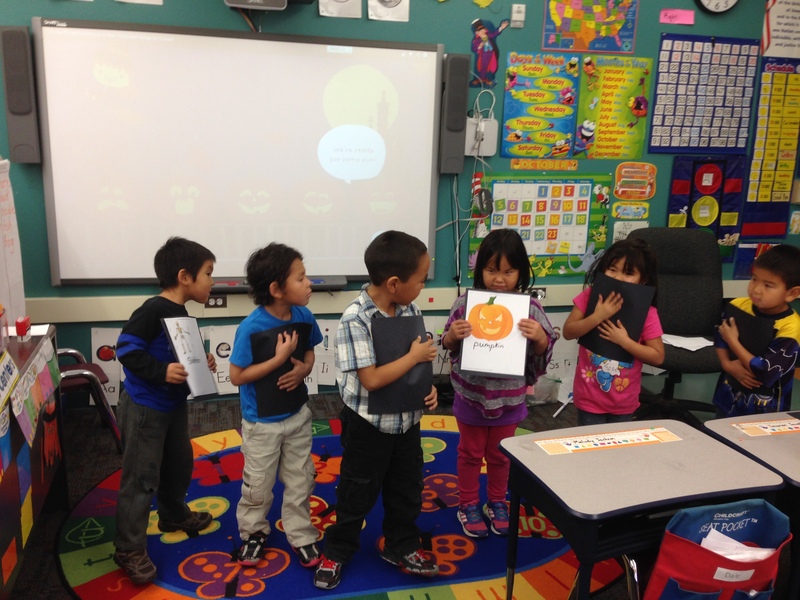 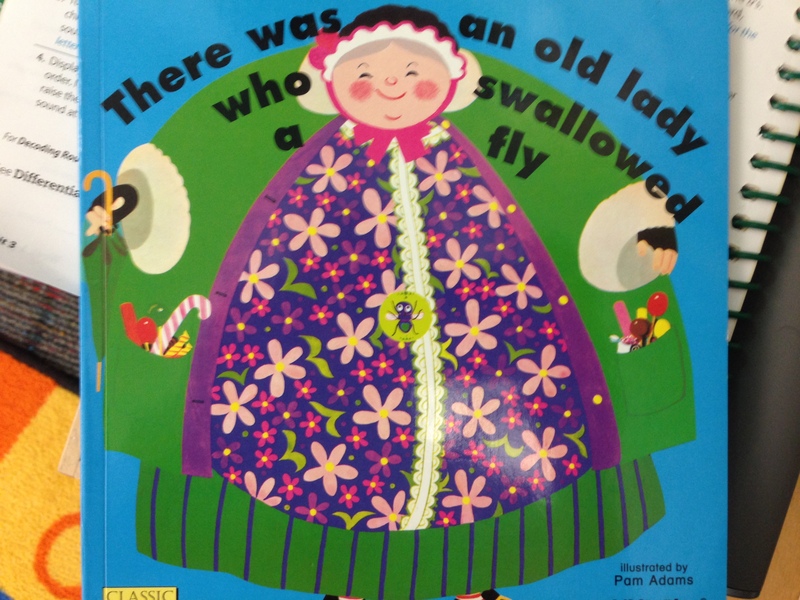 Students learned that no matter how often the position of the teeth changed, the whole group always remained 4.